We are a leading Manufacturer of Battery Discharge Indicator, Trolley Wheel, Hydraulic Hand Pallet Trolley Mechanical Parts, Bracket Castor Wheel, Forklift Reverse Buzzer and Directional Contractor from Bengaluru, India. Our Battery Discharge Indicators are designed to perfection and exhibit high end quality which is as per with the latest industrial norms and global standards. We have developed a niche in trading and supplying of highly sophisticated Load Wheels which have been in demand in the industry mainly due to its performance in adverse conditions. 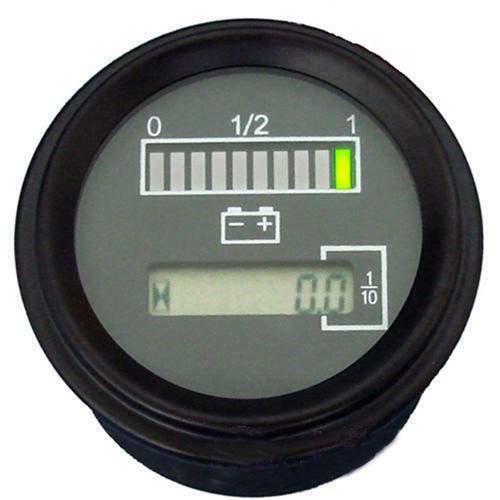 We are engaged in offering our clients a superior quality range of Battery Discharge Indicator. We design the given product following industrial standards by making use of best quality material and modern technology. We are engaged in offering our clients a superior quality range of Hydraulic Hand Pallet Trolley Mechanical Parts. Our firm is involved in manufacturing and supplying a huge range of Bracket Castor Wheel. We are engaged in offering our clients a superior quality range of Forklift Reverse Buzzer. Our firm is involved in manufacturing and supplying a huge range of Directional Contractor. Our firm is involved in manufacturing and supplying a huge range of Emergency Cut Off Switch. Suitable for forklifts, stackers, BOPT'S and another type of material handling equipments of alright make. We have achieved a great deal of success in the trading and supplying DC Horns which has been tested for its quality and reliability. Our firm offers a high-quality range of BOPT Magnetic Brake. It is manufactured using top quality materials and latest technology and tested under various quality parameters. Carbon Brushes are used in DC motors of forklifts, stackers, BOPT'S and platform trucks. Our firm is involved in manufacturing and supplying a huge range of Curtis and Savecom Speed Controller. We design the given product following industrial standards by making use of best quality material and modern technology. We are leading manufacturer and supplier of Drive Wheel. It is manufactured using quality raw materials and latest technology. We are engaged in offering our clients a superior quality range of Tiller Head. We design the given product following industrial standards by making use of best quality material and modern technology. Our firm offers a high-quality range of Contact Kit for DC Contractors. It is manufactured using top quality materials and latest technology and tested under various quality parameters. We are a highly recommended trader and supplier of the best Forklift Accelerator Part available in the industry. We are engaged in offering our clients a superior quality range of Material Handling Equipment Spares which are Forklifts, Stackers, BOPT's, 3 wheelers and hydraulic hand pallet trucks. We are engaged in offering our clients a superior quality range of Polyurethane Wheel. We design the given product following industrial standards by making use of best quality material and modern technology. We are a highly experienced trader and supplier of the world-class Hand Pallet Truck Parts. We are engaged in offering our clients a superior quality range of Drive Wheel. We design the given product following industrial standards by making use of best quality material and modern technology. Our firm offers a high-quality range of Hydraulic Pallet Trolley Parts. It is manufactured using top quality materials and latest technology and tested under various quality parameters. We are engaged in offering our clients a superior quality range of PU wheels. It is used in stackers, bopt, forklifts and pallet trolleys, available in different sizes.